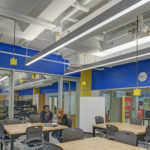 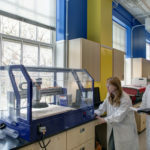 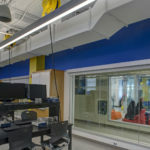 Colimore designed this 4,000 square-foot, second-floor renovation of Clark Hall for the Bio Medical Engineering Department of the Whiting School of Engineering. 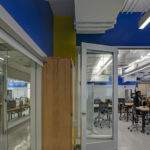 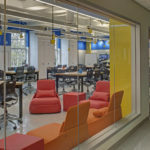 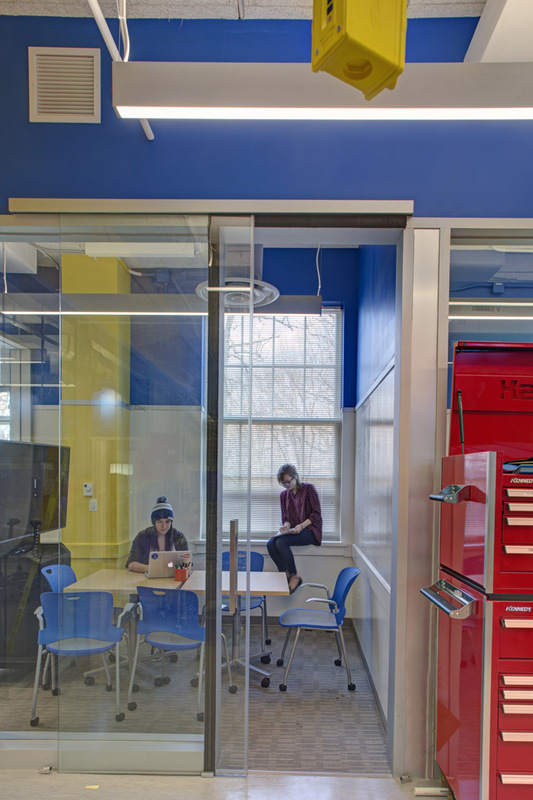 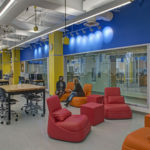 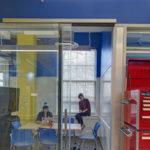 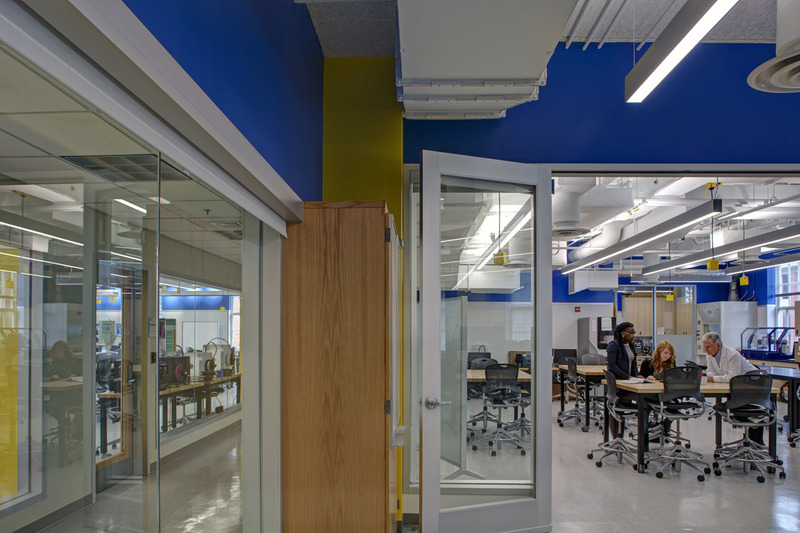 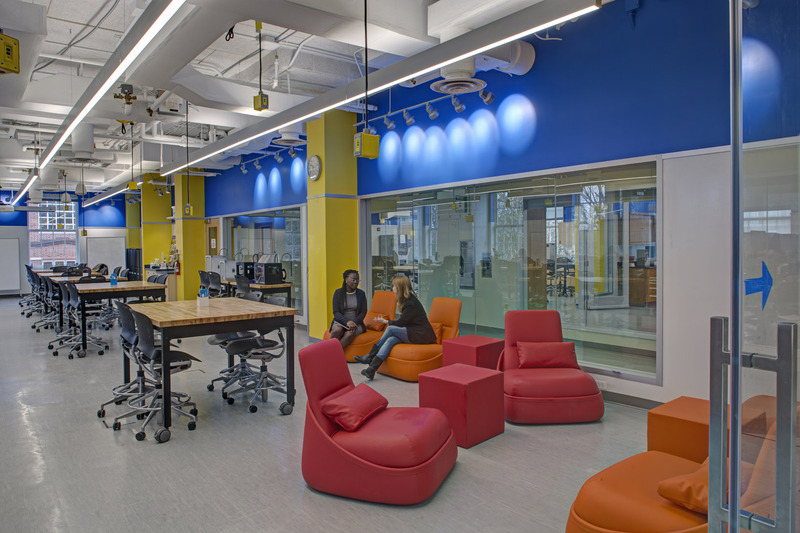 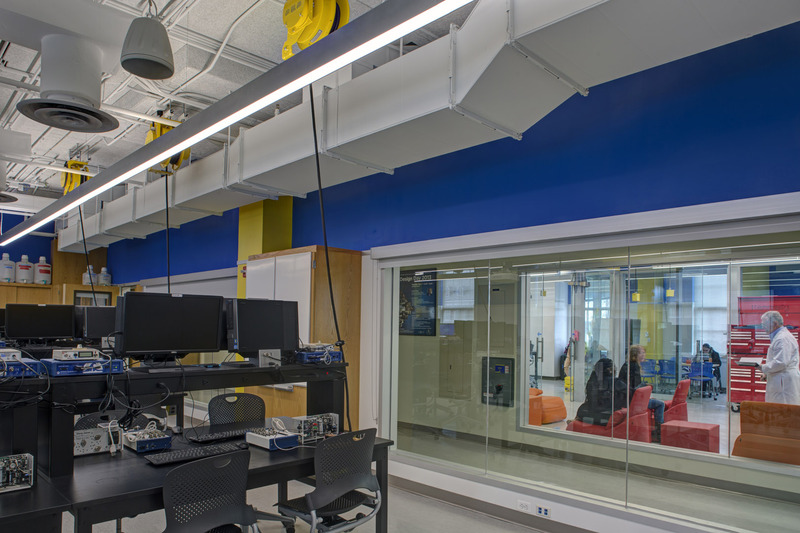 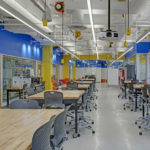 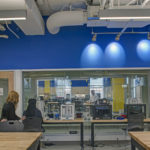 These unique labs include the open plan for both graduate and undergraduate “maker-space.” Strategically-placed interior glazing along corridor walls provides openness and contributes to the full perimeter writable surfaces. 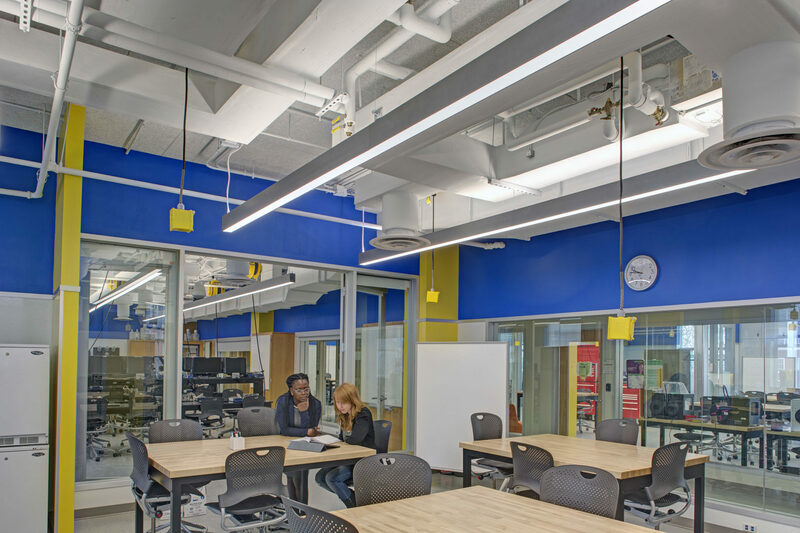 Open ceilings with painted structure, exposed ductwork, and direct/indirect LED lighting fixtures lend a high-tech appearance to the spaces. 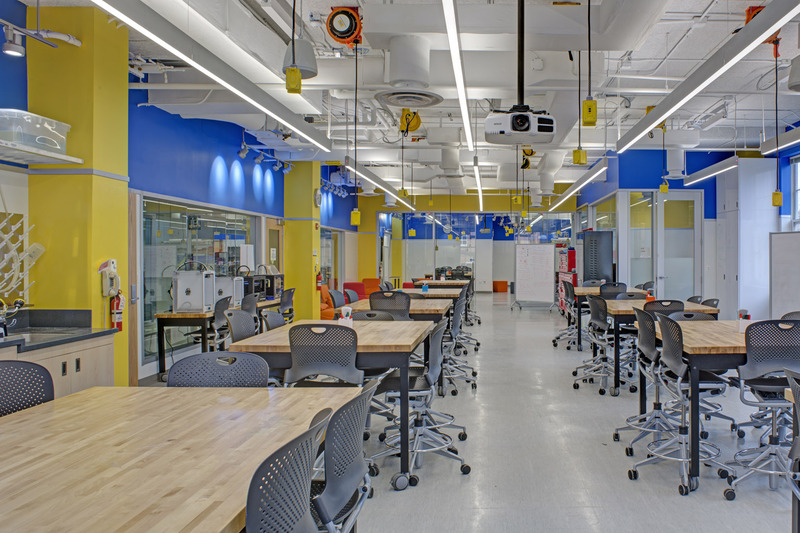 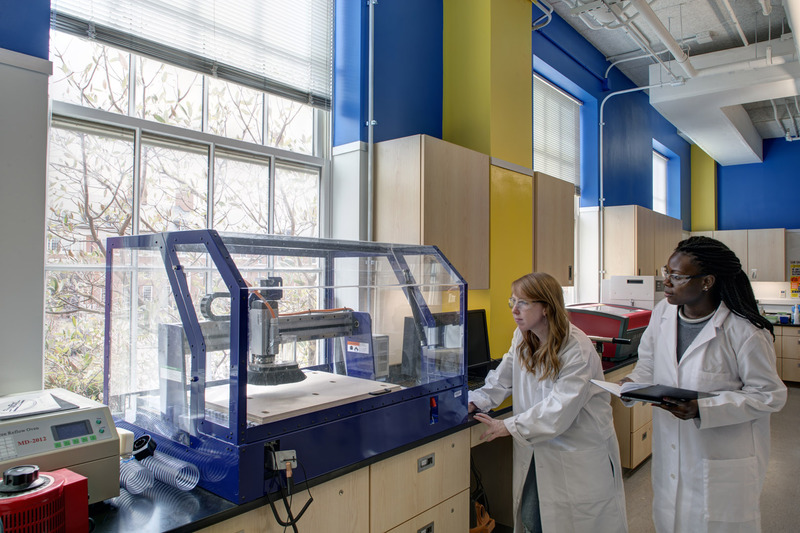 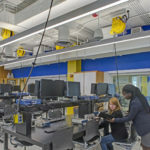 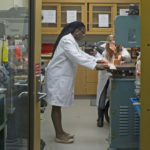 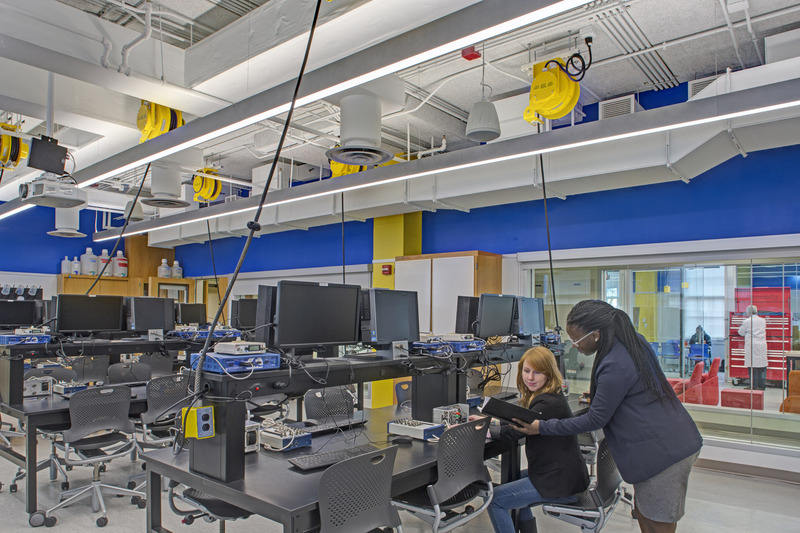 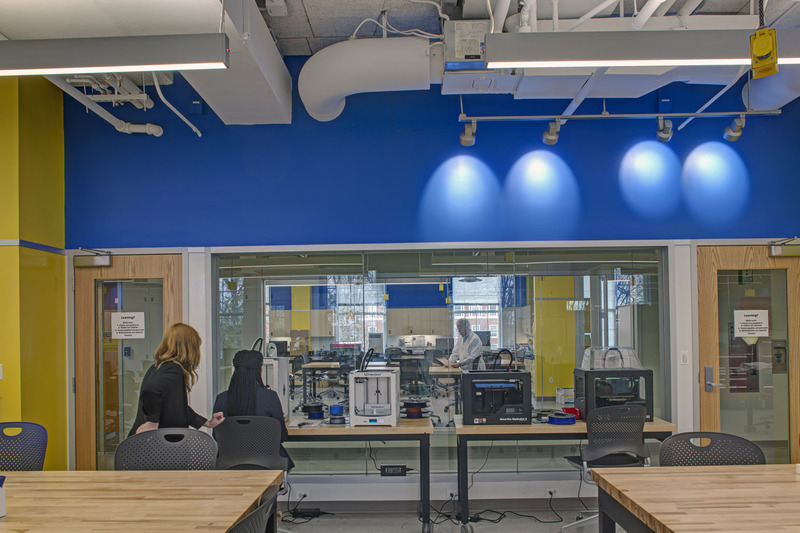 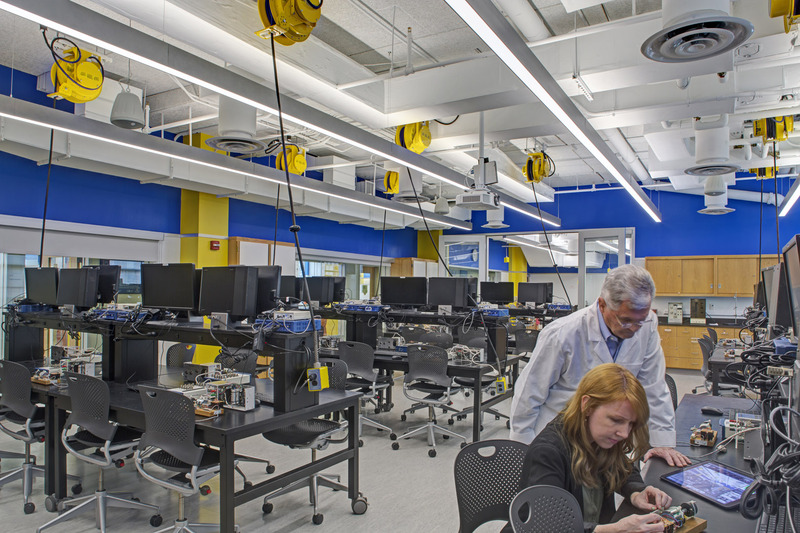 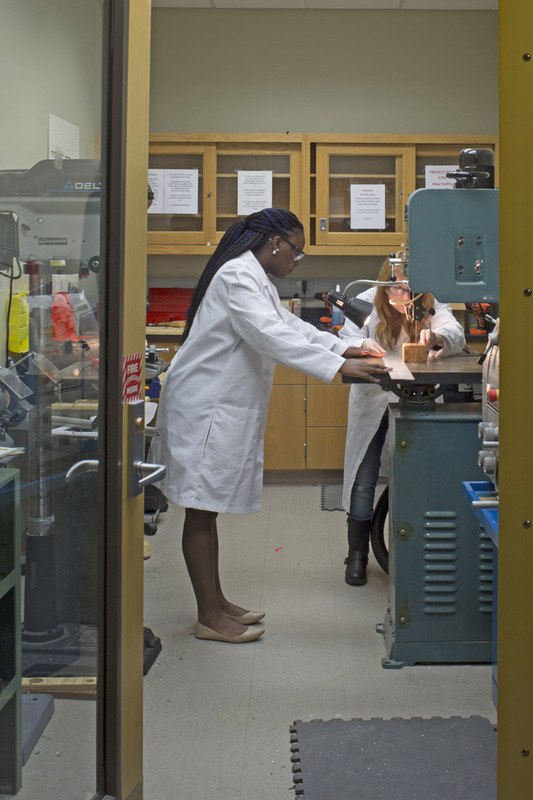 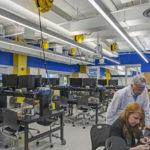 This collaborative “maker-space” for interdisciplinary biomedical research, design, and prototyping consists of wet and dry labs, teaching spaces, student gathering spaces, offices, a mobile teleconferencing portal, 3-D printer stations, and machine shop. 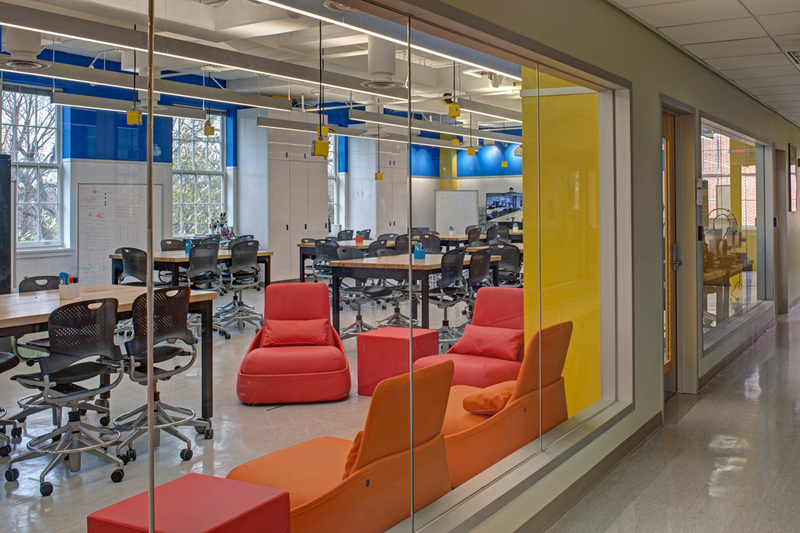 The design maximizes flexibility and collaboration – glass doors allow lab spaces to combine with large open areas. 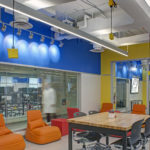 The furniture and equipment are mobile, for clustering into diverse size work groups; electrical power is suspended above on industrial cord reels, and walls and furniture are finished in dry-erasable “idea paint” to allow brainstorming virtually anywhere.